I have been a runner for the last 25+ years. I love everything about it. The cardio, the scenery, the solitude, the camaraderie of a group run, training for a race, running in relays, etc. A few years ago, I branched out and started “seeing other people” and FiA became my new fitness boyfriend. FiA is a free, women-only, peer-led workout group with locations across both Carolinas. 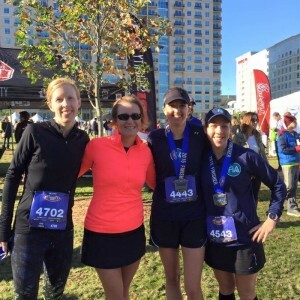 (check out FiA Charlotte Metro workout schedule) In FiA, I found a great workout with like-minded gals. Plus, the variety of bootcamps and strength training were a great complement to my first love, running. So, one day I was WALKING across a parking lot (after a run) to get coffee and tripped and fell. Two inconclusive x-rays later, my diagnosis was a 2nd degree sprain and a “maybe” fractured Fibula (the dainty calf bone running from back of knee to ankle). It is not lost on me that I injured myself WALKING. I was put in a boot and told that this thing would heal itself if I avoided any “pounding” exercises (think running and FiA) for 6 weeks. I was in a straight up panic because I was on one of the FiA Palmetto 70 relay teams and slated to run 18 miles the week after my recovery time was over. I had to come up with some other plan to keep fit during this hiatus without any “pounding”. Enter Carolina Barre & Core. 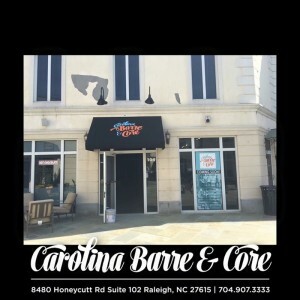 At Carolina Barre & Core, I told the instructors about my injury and each was knowledgeable and super helpful in offering modifications (being up on my toes with my gimpy foot was a no-go during those first few classes). The classes are very challenging and I found myself sore all over. I was so surprised at how much I could sweat by not moving more than an inch at a time. With each class, I saw real progress with my flexibility and felt my ankle strengthening. As a runner, I definitely don’t stretch enough and probably neglect my hips. I like how the classes include hip flexor and other amazing stretches between the exercises. The core work is no joke and just not something any of us does enough of, in my opinion. 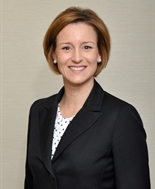 It has been energizing to mix it up and I’ve enjoyed keeping Carolina Barre & Core as part of my fitness regimen, even though my ankle has been back to normal for months! So, take it from this running and cardio junkie – try it – you can’t go wrong. And I never thought I’d say it but maybe I’LL SEE YOU AT THE BARRE! Carolina Barre & Core, Raleigh, is OPEN and located in Lafayette Village, 8480 Honeycutt Rd, Suite 102! Are you up for a Charlotte Run Challenge this June?